It's more than just spotting the 'Big Five' or seeing animals in the wild. The term “Big Five” has its origins in African big game hunting, with trophy hunters attempting to “bag” these five animals: elephant, lion, Cape buffalo, rhinoceros and leopard. This was at a time when shooting a wild animal from a distance with a high-powered rifle, aided by vehicles, trackers and porters, was deemed to be masculine behaviour. In the modern zeitgeist, the killing of animals for trophies is frowned upon in general public perception. Historically, hunting was a sport for the elite and royalty. Wealthy maharajas and kings set aside tracts of wilderness for their delectation and that of their guests in the pursuit of blood sport. The Tiergarten of Berlin, Germany, and Sariska Tiger Reserve in Rajasthan, India, are examples of traditional hunting grounds that developed into parks and nature reserves. Trophy hunting in Africa, with its diverse large wildlife, continues — a multi-million-dollar business that fuels much controversy, as much as hunting advocates claim that it channels millions of dollars to impoverished communities and helps to conserve wildlife. 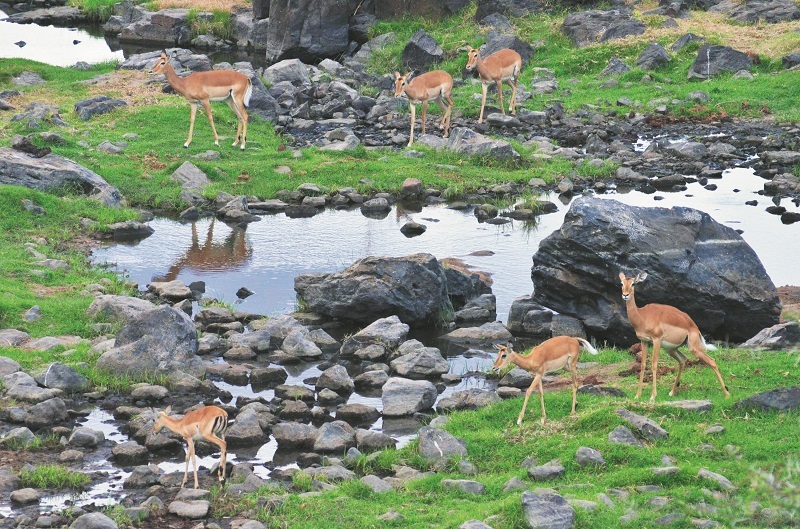 There are national parks where hunting is prohibited, while some game reserves allow hunting for a fee. 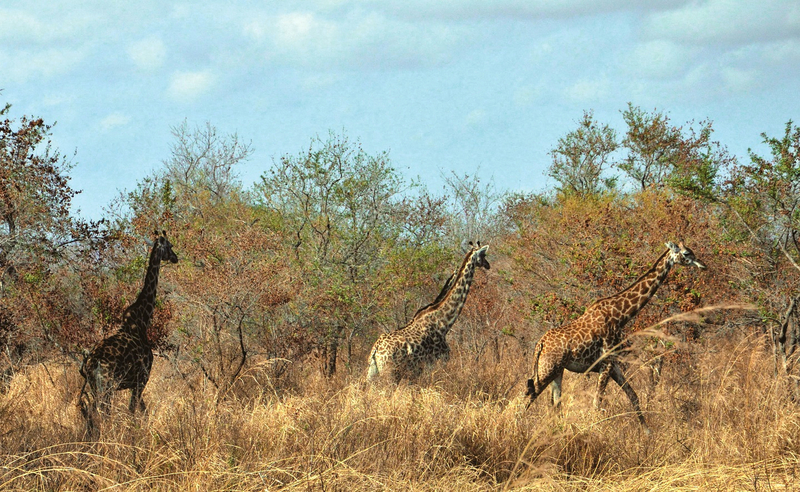 The massive Selous Game Reserve in Tanzania, measuring over 50,000 sq km, for example, derives much of its income by leasing out land to big-game hunting companies that organise paid hunts for wealthy clients. The killing of Cecil the lion in Zimbabwe with bow and arrow by dentist and big-game hunter Walter Palmer in 2012 triggered a massive public backlash against trophy hunting. Spotting wild animals on safari is most widely associated with Africa although there are many places in the world for this. For most tourists who go on safari (Swahili for journey), much of the shooting occurs from the wrong side of a camera, preferably equipped with a suitably long telephoto lens. The sheer variety of wildlife that one can expect to spot on an African safari is staggering: wildlife varies depending on the reserve or park, especially of the larger animals. 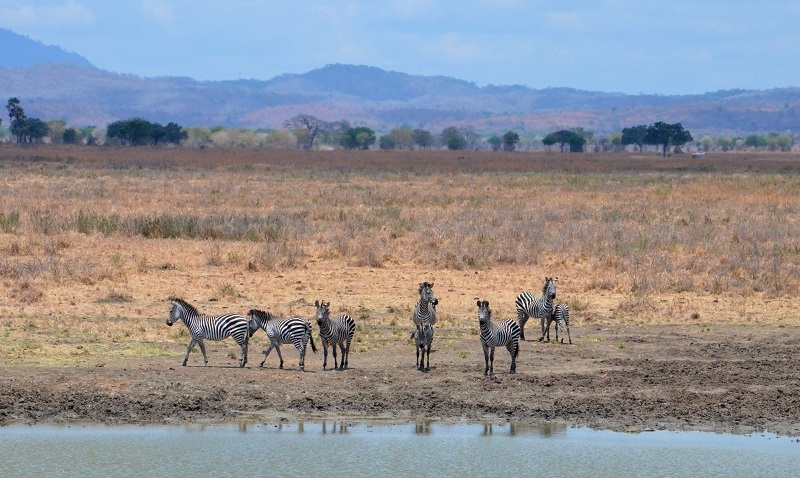 Large herds of zebra, gnu and deer can be seen but there are various species of each, and dozens of smaller, lesser known animals as well as seemingly countless varieties of birds. Yet it is sobering to remember that all the wildlife today is but a fraction of historical numbers. Rhinos, now endangered, once numbered in the hundreds of thousands, for example. The Big Five continues to be a major attraction for tourists due to their size and as apex predator in the case of the lion and leopard, and for their presence for the other three. Of the five, the leopard is the most elusive and difficult to observe as it spends much of its time in the trees, and is superbly camouflaged with its spotted coat. Unlike the lion, it is a solitary animal, and spotting one is a matter of luck as well as having the right game spotter. I was lucky, twice. One at dusk, while driving along the rim of the famous Ngorongoro Crater in Tanzania, we stumbled onto a leopard lying by the side of the road. Our vehicle stopped just a few feet away from the animal, which was simply magnificent. It was a little annoyed by having its rest disturbed in such a rude manner, and skulked away silently and stealthily into the surrounding bush, leaving those of us in the vehicle in a state of excitement bordering on hysteria at our luck. 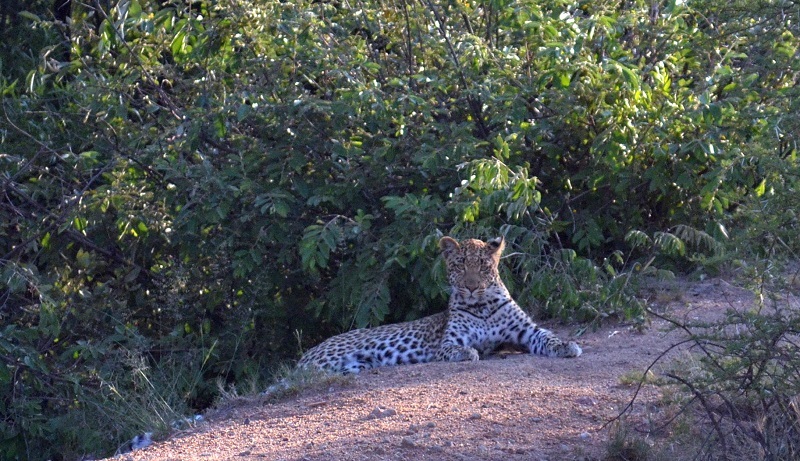 Opposite us, on a ridge overlooking the watering hole, was a leopard, sitting and regarding us with the lofty disdain that any pet owner with a house cat should be familiar with. Not in the least alarmed, it held its position for over 10 minutes while in our vehicle, the silence of collective held breaths was broken only by the clicking of cameras. Modern day safaris are highly organised and big business in Africa. Typically, safari vehicles are modified four-wheel drives, some with extended bench seats and some with pop-up roofs so that tourists can stand and point their cameras and binoculars through the gap. Extra-large fuel tanks, long wheelbases, additional windows and spare wheels are common modifications. Not much is required of the tourist except to sit there like a clod while the driver navigates and points out objects of interest. Good spotters have supernatural vision, able to distinguish an animal from a log, a clump of mud or a tangle of shrubbery. Getting out of the vehicle is a strict no-no as some predatory animals are so well disguised as to be completely hidden just feet away from the vehicle. Elephants are the largest land animals in the world, and the African bush elephant, the species usually seen on safari, is the largest of all elephant species. They are easy to spot because of their size and social structure of moving in herds. They are a stirring sight for their ponderous regality and seemingly human behaviour. Elephants have been known to express grief and symptoms of mourning, with herds exhibiting collective care and concern for their young. Elephant herds follow a matriarchal system, with female elders being repositories of knowledge and wisdom, leading the herd to safety and to fertile grounds. 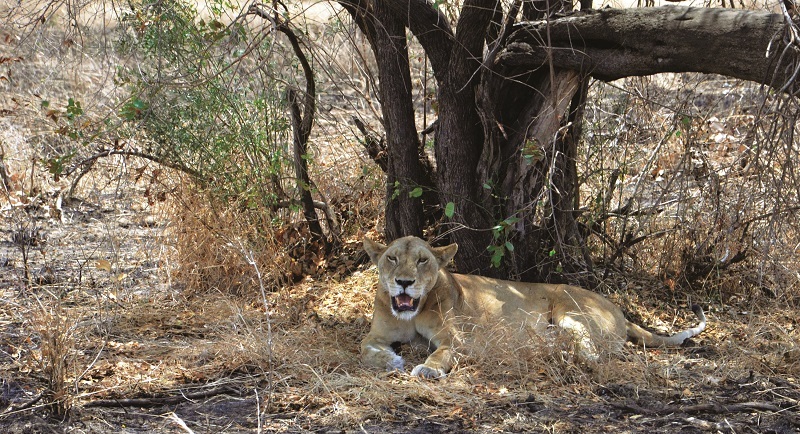 Lions are the most charismatic of the Big Five, attracting the most attention from tourists, and they are not particularly difficult to spot on safari. They occur in prides with a dominant male, and much of the time, they tend to be lolling in the shade of trees or sleeping, which is how they are most likely to be encountered during safari. Other than a small population in India, lions are now only found in Africa, where they once roamed over most parts of Asia and Europe. 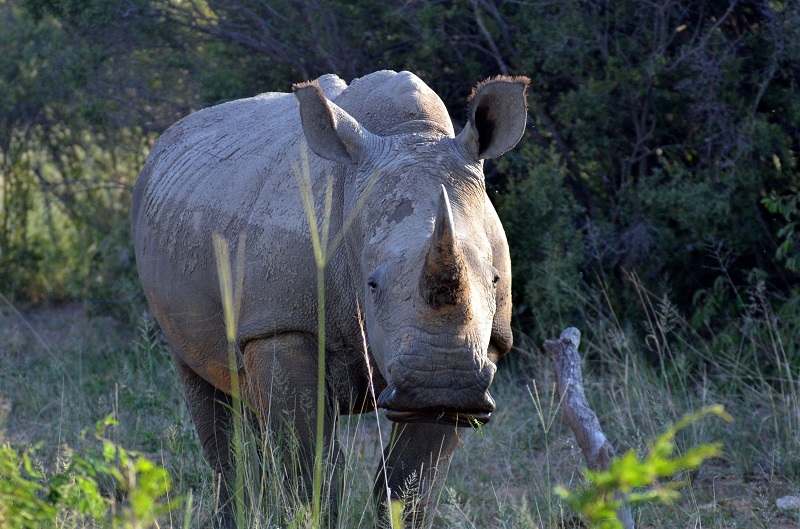 Generally much rarer and far more difficult to spot, the rhinoceros, I found, can be easily seen in certain privately-run game reserves in South Africa, where they, and all wildlife, are managed like inventory, with counts and swaps with other game reserves for breeding. In the reserve I visited, rhino numbers are a well-kept secret for obvious reasons: the poaching of rhinos for their horns is big business, being fuelled by demand from the Chinese medicine market. The white rhino is a massive beast, and in the mid-20th century, populations were in perilous decline, but it now outnumbers the critically endangered smaller black rhino, with both species being considered endangered. Close up, the rhino is a charismatic animal, with rather soft eyes, and a seemingly gentle disposition. The ranger knew his rhinos and knew which ones could be approached safely at a close distance. There was Grumpy, a huge male white rhino with a habit of charging vehicles. With a weight of two tonnes plus, it was something not worth contemplating. A subspecies, the northern white rhino, is down to the last few animals and teetering on the brink of extinction, with the last male of its kind dying in Kenya in March 2018. The Cape buffalo is huge beast and seems boring in comparison to the others, but it is not. It is a dangerous animal because of its unpredictability and size and is responsible for dozens of human deaths every year. It also occurs in herds and although it resembles the domestic buffalo, it is only very distantly related. One night, I heard a munching sound outside our safari hut in the Ngorongoro Crater and looking out, there in the pale moonlight were several Cape buffaloes that had climbed out from the crater below to feed on the grass of the resort compound. Going on a safari to spotanimals in their natural habitat is not really about seeing animals — for that, a zoo will do, but spotting animals in their natural habitat is a very different proposition from having them transplanted onto a man-made one. The Big Five is merely emblematic of the vast wealth of wildlife one encounters on a safari. It is not only about seeing animals but there are also greater themes of open spaces and freedom, the constant life and death drama played out under the African skies — a microcosm of the complexities of life, that we, increasingly, as a tribe of city-dwellers, have begun to lose perspective of. This article first appeared on Feb 18, 2019 in The Edge Malaysia.